Homeowners who have built a substantial amount of equity in their homes may be eligible to refinance their mortgage loan and cash out some of their equity. This is known as a cash-out refinance. But just because you can doesn't mean you should. Cash-out refinances are similar to other refinances, except the homeowner actually borrows more than than they owe on their original loan. For example, say your home is worth $300,000, and you owe $100,000 on your mortgage. If you get a new loan for $150,000, you can pull out $50,000 of your home’s equity in cash. Click here to read more about cash-out refinances on Bankrate.com. Note:Texas has specific laws governing cash-out refinances and home equity loans, which prohibit homeowners from borrowing more than 80% of the value of their home. So if your home is worth $300,000, in Texas the maximum amount you can borrow is $240,000. This is true for both cash-out refinances and home equity loans. Texas homeowners must also have at least 20% equity in their homes to be eligible for a cash-out refinance or home equity loan. For more information about Texas-specific restrictions on cash-out refinances and home equity loans, visit the Office of the Consumer Credit Commissioner's website. Cash-out refinancing can provide homeowners with access to quick cash when they need it. And with continued low mortgage interest rates, many homeowners may be wondering if a cash-out refinance is a good deal for them. While there are some circumstances in which a cash-out refinance makes sense, there are significant risks that each homeowner needs to consider when deciding whether to dip in to the equity in their home. When you cash out the equity in your home, you increase your amount of debt and erase the wealth you have built in your home. The payments on your new loan may be higher, and if you fall behind on your mortgage payments, you risk losing your home. If the value of your home declines, you are more likely to become underwater on your mortgage loan. 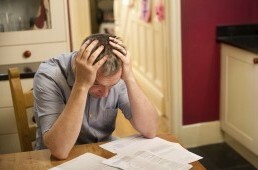 If this happens, you will have trouble refinancing your loan or selling your home. To fully appreciate the risks of cash-out refinancing, look no further than the most recent housing and financial crisis. According to an article published in the New York Times, cash out refinances comprised a large percentage of the sub-prime loans that eventually led to the crash of the housing market. Citing a joint HUD-Treasury report, the article notes that by the year 1999, 82% of sub-prime mortgages were refinances, and 60% of those refinances were cash-out refinances. And according to an article published in April 2010 in the Washington Post, Texas' restriction on cash-out refinances and home equity loans played a major role in protecting the state from the worst of the housing crisis. Quoting research from the Federal Reserve Bank of Dallas, the article argues that fewer Texans cashed out their home equity in the early 2000s, and those who did were capped on the amount of equity they could cash out. The Federal Reserve Bank of Dallas' research also confirmed the risks associated with cash-out refinancing by finding a strong link between the percentage of subprime cash-out refinances in a state and that state's foreclosure rate. While the federal government has cracked down on sub-prime lending, the other risks associated with cash-out refinances still remain. For more information about cash-out refinances and home equity loans, please see the additional resources linked below. No blog post next week. Happy Holidays! HI Lia, we encourage you to contact a mortgage loan officer. They can answer your specific questions about obtaining a mortgage for your home. If I pay cash for a home and renovate it increasing the value, how quickly can I obtain a mortgage on the home for 75% of the new appraised value? Also, Is there a way to get 80% of the new value? Can you get an equity loan on your home in Texas if you have already done it once. Very helpful post to risk out refinance. Thanks for sharing. Hi Kathleen, thank you for your question. We recommend that Wayne contact a housing counselor who can help connect him with resources in his area and advise him on the pros and cons of home equity loans. I am searching for information to help assist a dear friend. He suffered hardship in many ways. He is now disabled, completely unable to work. Need assistance with doing home repairs and some needed remodeling. He’s home is paid for, in the process of switching the deed since its still in his deceased mother’s name; He inherited the property, Looking into equity loan. Could also use advice on that matter. Speaking on behalf of Wayne Pyatt Sr.
Hi Germaine, we recommend that you contact a HUD-approved housing counselor to determine your options regarding cash out refinances and mortgage modifications. You can find one here: http://www.texasfinancialtoolbox.com. Why would a homeowner be ineligible for a modification after doing a cash out refinance ? Hi Joe, you can use TSAHC’s Texas Financial Toolbox http://www.texasfinancialtoolbox.com online tool to find a nonprofit housing counselor in your area. Your counselor should be able to help you determine if and how you can consolidate your loan. Katie, you mention “Nonprofit housing counselors” in your post above. Can you recommend a good site to fine some? Is this something you provide and I just need to call your Homeownership Hotline at 877-508-4611? My situation is a little different in that I’m building a small house I got a personal loan for through SoFi and have a land loan through Texas Veterans Land Board. Would like to combine them into a single loan once the house is built (which will be above the value of the land alone) but it is proving difficult to find a loan officer to deal with this non-standard situation. They say it is a cash out refinance and won’t talk with me until the house it built but I need to know now if there are caveats I need to address in the home building as I’m in a county without permitting requirements. La refinanciación hipotecaria es realemente peligrosa y yo sólo la aconsejaría cómo ultima opción. La información del post es muy muy completa gracias. Equity is a really tricky thing! This list really sums up the basics of what you need to know. I still may need to get some financial advice from a professional! Great post! Nora, thank you for your comment. You are right that there are situations in which a cash-out refinance or home equity loan is the best option. Nonprofit housing counselors are a great resource to help homeowners decide if one of these options is right for them. I agree that there are a few risks associated with the loan, but during an emergency situation this may be the only loan that can help you. When I had to renovate my home in New Jersey 2 years back I was in sudden need of some money to finish the work. I looked for personal loans but I failed to get any. Finally I took a home equity loan from Aspire FCU and completed the work. People also take home loans to go for vacations, or to pay college fees etc.